Food was excellent and vegetarian (note: not vegan) friendly. Server was knowledgeable, didn’t rush us, and ambiance was great, especially for a warm spring night. Cheese course was good, but the accouterments were not substantial enough for the generous cheese portions. We both commented how excellent the olive oil was - a simple, but memorable part. 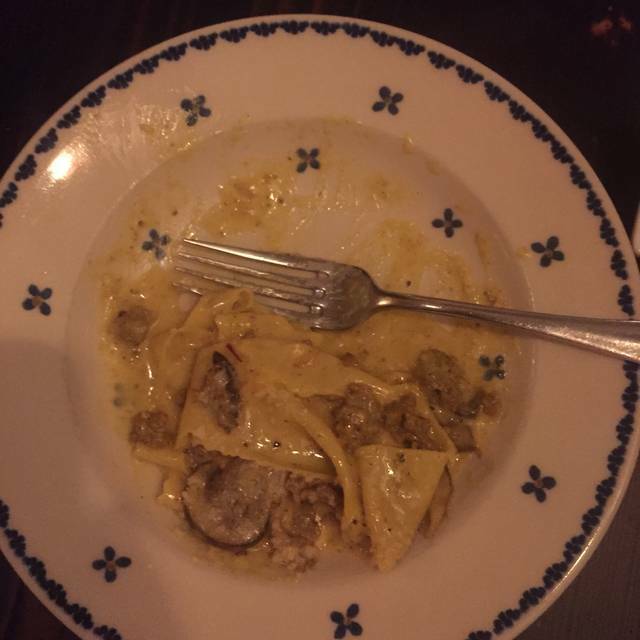 We then had the pecorino agnolotti and savory crepes and both were equally good - homemade pasta can’t be beat. We then had a fine, but not memorable dessert, the budino. Biggest downside was we also had a bottle of wine, which tasted fine, but quite overpriced. I expected more from a $65 bottle. The food was a good value, but the drink was not. We will be back for the entrees, but won’t add wine to our meal and will also reconsider dessert next time. We were greeted by friendly chat and seated immediately even though the Schuykill Expressway traffic made us 20 mins late. We settled into drinks after a brief menu review and we were comfortable with everything. 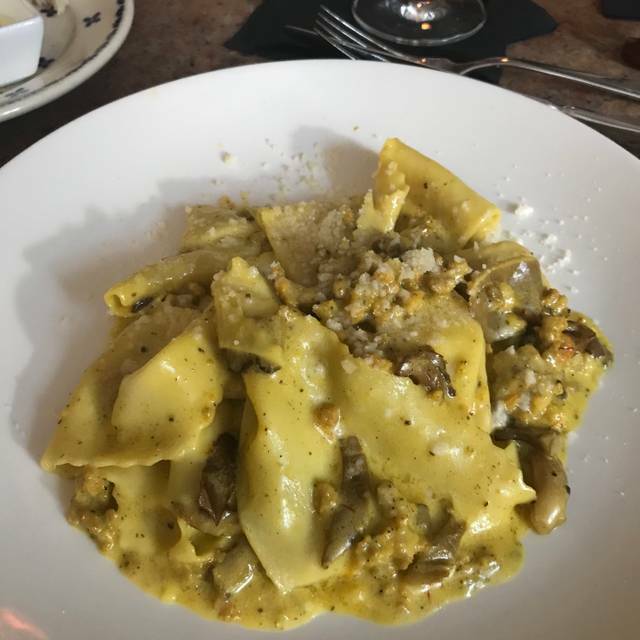 The menu is a one-pager with the perfect blend of pastas, primo and secondi; I felt like I was in Tuscany. The pastas were small; I wanted two in the first place but thought that’d be too much. I’m a hearty eater when it comes to Italian food so I could have had two. Regardless, mine was unbelievable as was my wife’s. I followed that with a perfect veal chop and broccoli-rab. Meg eats a bit light (she only weighs about 100 pounds) and had chhese, lentil soup and salad and loved it all. Honestly, I can’t wait to go back. I think Le Virtu is one of my top 2 or 3 restaurant choices on the east coast. Food was amazing! Really good, and interesting flavors. The freshly made pasta was cooked to perfection. The service was charming, and the whole experience was pleasant and relaxing. Lovely gem! Food and atmosphere were wonderful! I will definitely be back. 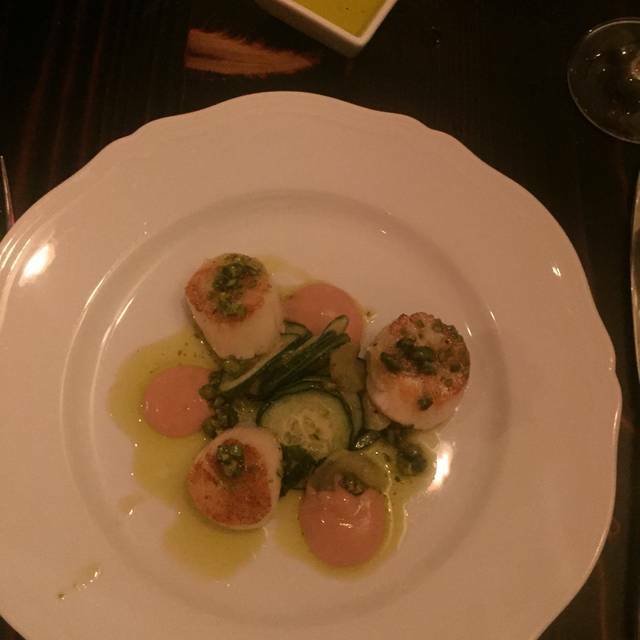 We had a great experience: wonderful service, terrific menu and everything was delicious. 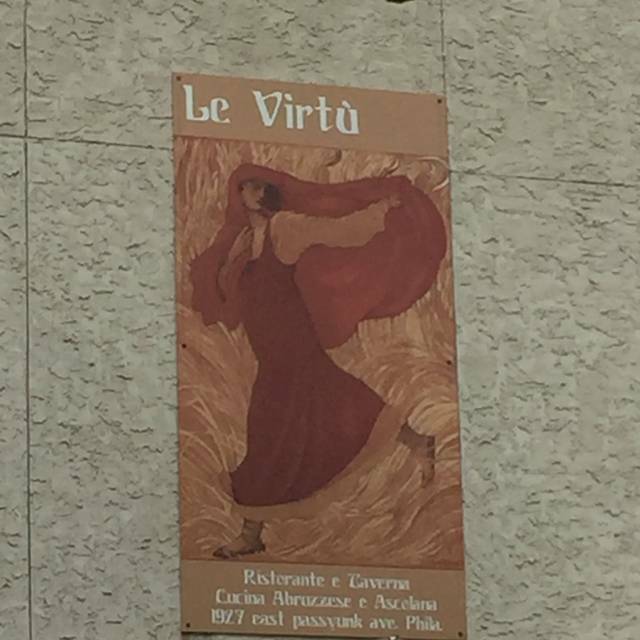 We wanted to support Le Virtu for their social values AND food- and can't wait to go back. Food, service, atmosphere all outstanding. Great wines, even better digestivi. Food was excellent. Reminded me of Sundays when I was a child as my family is Italian. I plan to return with my elderly mother, she'll love it. The Gamberini E. Ceci was an outstanding beginning . Looking forward to dining again soon at le Virtu. Wonderful experience at Le Virtu. Our party of four picked the Sunday/Monday dinner which was two courses with a glass of wine for $35 each. Generous sized portions expertly paired with lovely wines. My secundi course was the single strand pasta which was possibly the best pasta I have had in my life. We were on the early side with a 4:00 reservation and felt like we had a private dining room Very knowledgeable waiter steered us to delicious selections. Don't know why we haven't been back here in so long, but the next visit won't be so long a wait. We don't get here as often as we used to, because we're retired and no longer downtown daily. But it's still a wonderful place with some unique dishes, a fine staff, and a delightful vibe. 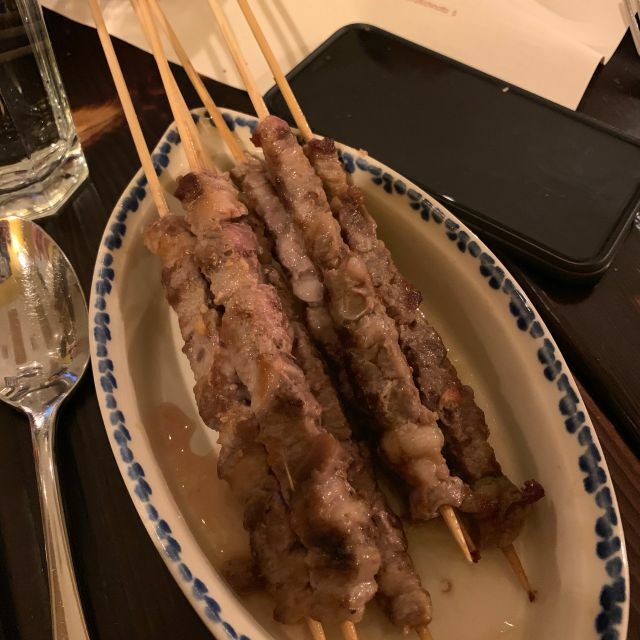 The mussels & calamari appetizer is one of my wife's favorites, and I enjoyed the lamb arrosticini - I only wish there were a bit more meat on each skewer, as it was a bit sparse. My wife's maccheroni alla mugnaia (which is essentially aglio e olio) was a fine staple, and I enjoyed the spaghetti with lobster. A very nice 2010 Montepulciano D'Abruzzo was on the "decant" list at a reasonable price (for a restaurant ) and very enjoyable. We still love the place! Excellent Food. Great waitress and personalized service. We just had a great time. Server was knowledgeable about the food and the wine list. Our homemade pastas were great. The food was more part of a fun night out than the main event for us tonight, and it was perfect for that! Our number one Philly dining out experience in the last ten years and we have visited some very highly rated Philly restaurants. Everything, starting from the moment we walked in to the moment we walked out was wonderful. All of it, service, food, music, sound volume and lighting, and thank you Le Virtu for having salt and pepper on the table. I didn’t use any because the food was, for me perfectly salted, but it was nice to have just in case I needed a hit. Bravo! We took two friends who are very familiar with Italy (including, specifically, the Abruzzi) to dinner and they were dazzled. Everything was delicious. 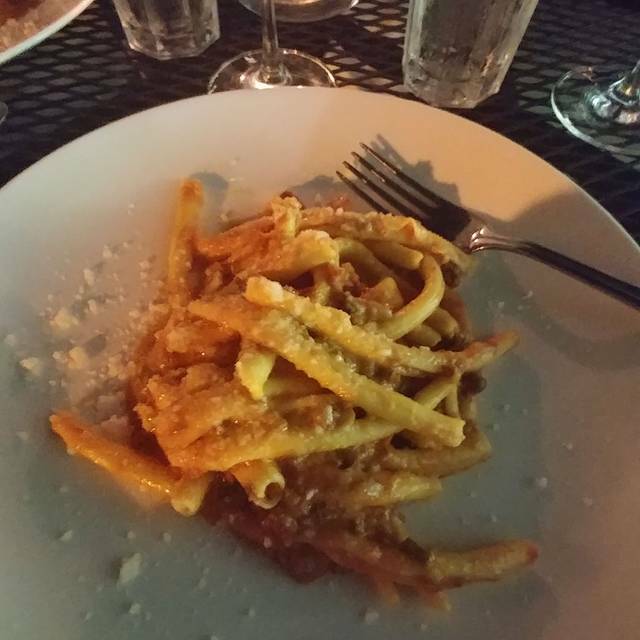 The maccheroni alla chitarra with lamb ragu' are totally authentic and scrumptious. The staff are friendly and helpful, and the wine list has some great choices. The space is small and the noise level was very high - that and the parking(!) were the only downsides. It's probably best to come and go with Uber if you're not coming from the 'burbs as we were. This was a basically good meal, not exciting, but good. I didn't find the choices inspiring, but among the first courses both the prawns and the octopus salad were tasty. The octopus was a little too cold - it had apparently been made ahead of time and refrigerated. A pasta with lobster dish had not many pieces of lobster. A special of porchetta with cannellini and broccoli rabe had the most potential and was good, if very fatty. The cannellini were too soft, probably because we ate late; the beans had probably been reheated a few too many times. Dessert was the only disappointment. Visited for East Passayunk restaurant week and had a lovely dinner. Portions were just right. Food was pretty good, but nothing really stood out. Nothing beats the restaurant week deal though, so I’d return again! I grew up in Abruzzo, the region of Italy whose food is featured in this restaurant (the very name is the name of a dish from Abruzzo and Teramo in particular). I found the dishes authentic in flavor and well balanced. The dessert "Lu Parrozz' " was really good. the pan roasted chicken won out, ordered by 2 guests. 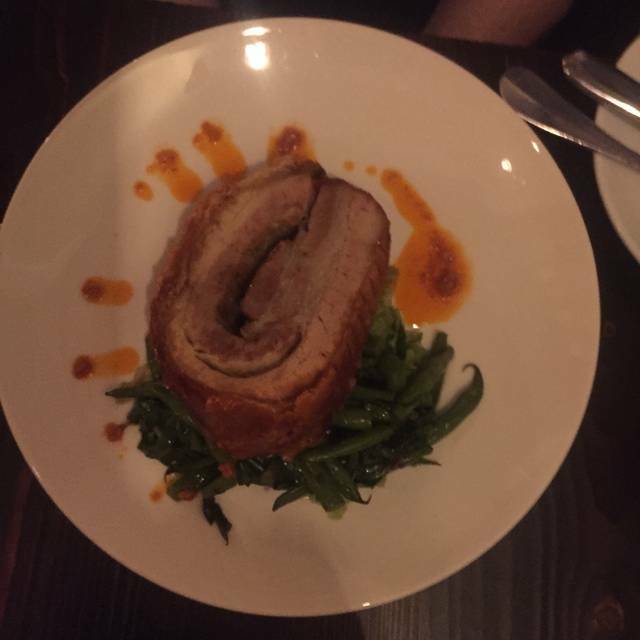 The rolled pork loin dish looked very good though my friend who ordered it was disappointed on discovering one thick layer in the roll was pork fat. The lobster spaghetti was tasty, the sauce similar to diavolo(tho waiter's answer on my ordering it was a light red sauce) but more serious was the very minimal amount of lobster. Food and service are very good. 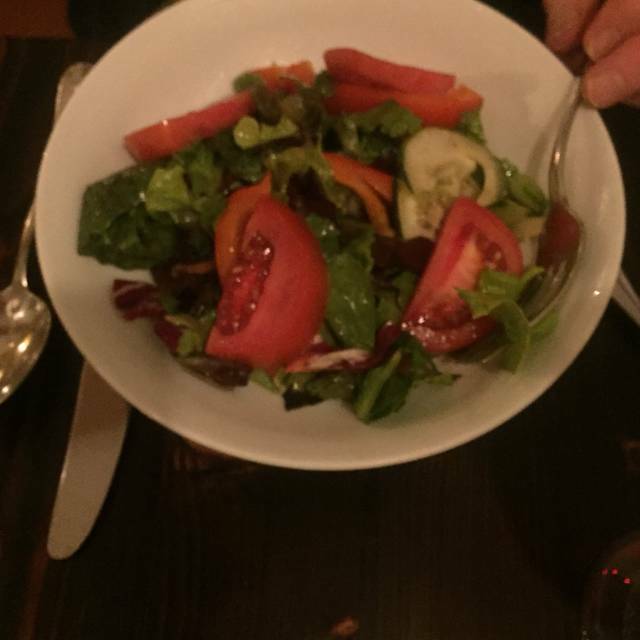 Insalata was fresh and light. Lobster spaghetti could have had a little more lobster essence but still very tasty. Chocolate semi-freddo was not so memorable but fine. Was visiting Philly for the Flower Show and dined there during Passyunk Ave Restaurant Week. Fabulous value for 3-course dinner that was exceptionally delicious! Abruzzese-style cuisine that was unique and flavorful. Server was knowledgeable, informative and unpretentious. He enhanced our overall dining experience. He accommodated our schedule of heading to the airport directly from the restaurant and timed the meal courses perfectly. We are Chicagoans and have experience with a plethora of high-end dining venues in our city. Le Virtu surpassed them all. We thoroughly enjoyed our dinner at Le Virtu! We went for restaurant week, which gave us a good amount of food, and we were able to try different things. The portions seemed perfect for three courses. We started out with the prawns and mussels and calamari. Both were super good- I wouldn't hesitate to get either again. We then had the lobster spaghetti and Taccozzelle. The taccozelle blew my lobster spaghetti away. It was rich and creamy and delicious- everything you would want in a pasta dish on a snowy winter evening. We finished with the panna cotta and Lu Parrozz- I enjoyed both. The panna cotta was super creamy and delicious, the cake being more dense and crumbly but still good. We will definitely be going back, especially in the summer when their outdoor area is open. The inside ambiance was great though- cozy and warm, and we were seated by the window so we got to watch the snow fall. Would definitely recommend! We were there for Passyunk Ave Restaurant Week. My entree (Wide Pasta, Sausage and Mushrooms) and dessert (Semifreddo) were very good; but Lamb Skewers as appetizer were very fatty. My companion loved her Mussels and Calamari appetizer and Semifreddo dessert, but thought the Lobster Spaghetti entree was 'just spaghetti' nothing special. PS - my experience with lemon drop martinis are that they are served with a sugar rim. Not at Le Virtu. Never disapointing. This place is just Fabulous in every way! This was a full and varied menu. Nothing hidden and no alsos. We have been had at other restaurants where restaurant week was a gotcha and the bill was $100. for two. "Oh, I'm sorry, that wasn't for restaurant week." THEN WHY WAS IT ON THE MENU. I would go back to Le Virtu again and again. It was a lovely experience. Don't get me started on the fantastic desserts. Our party of eight was treated to a wonderful dinner and hospitality by the folks at Le Virtu. Outstanding food, excellent service and great value are what you get with a night out at this restaurant. This was third time at the restaurant and will back again soon. Were especially tender and well seasoned. Nice wines by the glass as well. A very enjoyable experience. Le Virtu is always a special experience. The food, drinks and service are top notch. Wonderful servers who really make you welcome abd who are truly interested in maximizing your experience. I can’t wait to return!! We have always loved Le Virtu. It is a fun place with excellent food and service. The one negative is that we could not find parking which is very stressful! We had to park several miles away and Uber. Thank you for the kind words. You don't, however, have to park very far away. There is extremely reasonable secured parking just across broad at Constitution Health Plaza (Broad & McKean, entrance between Broad & 15th). It's a 2-minute walk from the restaurant. We've included this info on our website to help in the future. The food was not horrible but only one pasta dish was outstanding. Everything else was just OK. the whole fish wasn't all that good. Take the time to debone the fish then stuff it! I could get the same fish at a diner prepared the same way. I expected more for the price. The wine by the glass list is not good. Service was ok. Not sure whether I would return. Food was really good and the restaurant is beautiful. 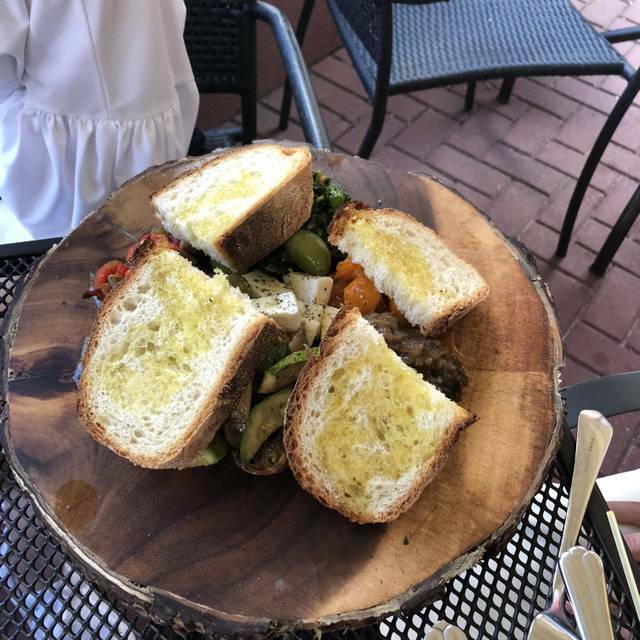 However, our server seemed to not pay attention to our table -- for example, the waiter took the orders from people who came in after us and they were served before us . Then he forgot to put in one of our orders so our meal took over 2 hours. Lots of waiting. Go for the food and not the service. We were greeted at the door by a very friendly woman, our waitress was wonderful and the food was outstanding. I will be back! LeVirtu is a classic. consistently great. haven't been there in a while but as good as I remember it. I would go back in a heartbeat. Our server, food, wine and ambiance was perfect. Even with the Sunday special the portions were generous and the chef extras amazing. We look forward to our return and hope to have Gabrielle serve us again. We also appreciate the sound absorbion of the ceiling . Noise is a real factor in many other restaurants.